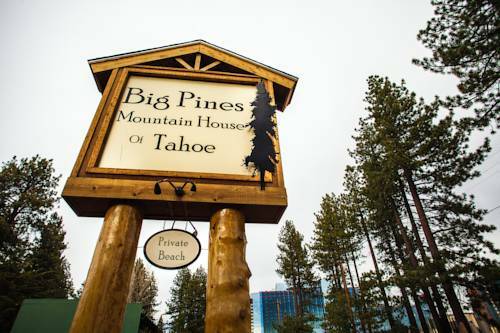 Big Pines Mountain House of Tahoe has over 70 comfortable rooms/ private beach access/ outdoor heated swimming pool/ coin laundry/ continental breakfast and our Meeting Room available for groups/ gatherings and special events. From Big Pines Mountain House of Tahoe/ you are within walking distance to everything anytime. Walk over to the Heavenly Village for shopping/ movies and a variety of restaurants. Enjoy the Lake at the private beach just a few blocks away. Take the Heavenly Gondola to capture the scenic grandeur of the Lake and surrounding mountains. Check out the nightlife and entertainment at the casinos. Big Pines is a budget friendly motel that is truly different/ offering value and super friendly customer service year round at a very affordable price. At Big Pines/ we love our work and want to share our pride with you. We invite you to make yourself at home at Big Pines Mountain House.